Management Team - Denver Power Contracting & Services W.L.L. The Company is professional in its attitude to business. From boardroom to individuals in all departments, our policy is to employ a member who can achieve above average results. We encourage potential newcomers to join our family who are able to recognize and accept our vision and objective. He has completed Bachelor Degree of Engineering (Electrical) from University of Mysore and Diploma in Project Management from Productivity Council from Bombay, India. He started his career in 1981 with one of the well-known institute P.D. Hinduja National Hospital & Research Centre Project, as Trainee Engineer and completed the most advanced super specialty hospital of India in the year 1985 as its deputy Project Manager. During 1999, he acquired 30 % shares of Denver power (I) Pvt. Ltd, an “A” grade EHV contracting company and executed various projects in India. 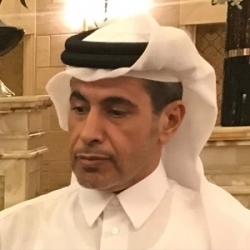 Denver Power (I) extended its operation to Qatar in the year 2002 under his experienced command, which is now shaped up to Denver Power Contracting & Services W.l.l and qualified to take up prestigious multitask projects. He has excellent track record of Engineering, Procurement, Installation, Testing, Commissioning and Project Management of Structural, Civil, and Electro-Mechanical Projects in Qatar, India, Malaysia & Saudi Arabia and he reports directly to the Board of Directors of Denver Power Contracting & Services W.l.l in the capacity of its Managing Director. He has completed Master of Business Administration (MBA) with special subject Finance and Marketing from ICFAI University in the year 2005-2007 and BBA from Oxford College of Management in the year 2002-2005. He started his professional career in Denver power (I) Pvt. Ltd, India as Marketing Executive and elevated to Business Development Manager in the year 2008. In the year 2010, he joined Denver Power Contracting & Services, Qatar as its Administration & Business Development Manager. In the year 2012 he was given the operational charge of Denver Power Contracting & Services W.l.l and reports to the Managing Director in the capacity of its Chief Operating Officer (CEO). The operation of CEO is supported by qualified and experienced professionals from Engineering, Administration, Procurement, HR, IT, Accounts & Finance. He has completed Bachelor Degree of Engineering (Electrical) from Calicut University Kerala, India and post graduation from Regional Engineering College Calicut, India. 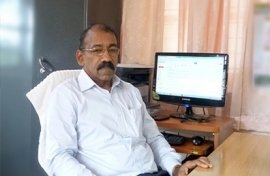 He started his professional carrier with Kerala State Electricity Board as Assist. Engineer and elevated to the position of Chief Engineer (Generation) during his tenure. During his employment with State Electricity Board, he was given with number of awards for exemplary dedication at work. He joined Denver Power in the year 2010 as head of its Engineering Team. He is also certified Grade “A” UPDA (Electrical) & QCDD Approved Engineer by the State of Qatar. Presently, he takes care of Engineering Division of Denver Power Contracting and Services W.l.l. He is supported by qualified Engineers from various discipline and report directly to CEO. 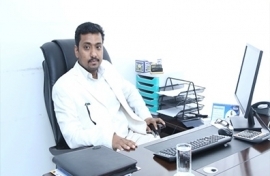 He has completed Bachelor Degree of Engineering (Mechanical) from Government Engineering College of Andhra Pradesh, India with distinction and Diploma in Management from IGNOU, India. 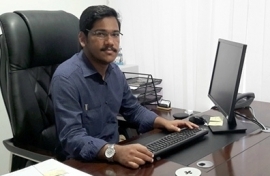 He started his career with Aluminum Industries Ltd, Hyderabad as Assistant Engineer. He has got almost 27 years of experience in Indian Territory with more than four companies. He is associated with Denver Power Contracting and Services W.l.l from March 2008 to till date as Project manager. He is also certified Grade “A” UPDA (Mechanical) & QCDD Approved Engineer by the State of Qatar. Presently, he takes care of Engineering Division of Denver Power Contracting and Services W.l.l. He is supported by qualified Engineers from various discipline and reports directly to CEO. He has completed Bachelor Degree of Engineering (Mechanical) from University of Poona, India. He started his career as Trainee Engineer with Patel Engineering Works Ghodepdeo. He worked in India from 1988 to 1998 and associated with various engineering and construction companies. He has got almost 20 years of experienced in Gulf, which includes projects in Saudi Arabia, Oman & United Arab Emirates as Mechanical Engineer. Since 10 years, he is in Qatar and now heading our project division of MEP. He is also certified Grade “A” UPDA (Mechanical) Engineer by the State of Qatar. Presently, he takes care of MEP Division of Denver Power Contracting and Services W.l.l. He is supported by qualified Engineers from various discipline and reports directly to CEO. He has completed Bachelor Degree of Engineering (Civil) from NED University, Pakistan. He started his career as Civil Engineer with the MIC / Mughals Construction in Karachi, Pakistan. From 1982 to 1987, he was associated with various Projects within Pakistan. He is registered lifetime member of Pakistan Engineering Council, Professional Engineer Fellowship- PEC and also approved Project Manager by KAHRAMAA. He has more than 26 years of experience in Qatar. He also worked in KSA & UAE as Project Manager for Infra- Structure Development Projects. Presently, he takes care of Civil Division of Denver Power Contracting and Services W.l.l. He is supported by qualified Engineers from various discipline and reports directly to CEO. Accomplished Business Development and Relationship Manager with over 20 years of experience in Business Development, Finance and Investment in Qatar. He is strongly dedicated client relationships and partnerships that are built on trust. Executive with an entrepreneurial spirit who leads companies to growth and market differentiation with a record of generating new business opportunities and developing lucrative partnerships. Proven track record of implementing the necessary business development strategies to accomplish breakthrough sales objectives while creating unique market-entry strategies, managing business relationships, building credibility, and establishing immediate rapport with potential clients. He takes care of Business Development of Denver Power Contracting and Services W.l.l and reports directly to CEO. He has completed Bachelor of Commerce from Kolkata University, India and completed training as Accountant in a Cooperative Bank in Kerala, India. 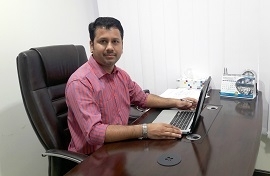 He started his career with Kanchan Oil Industries Ltd, India as Confidential Assistant. 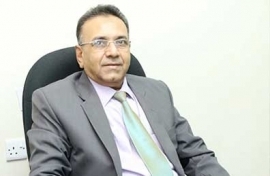 He worked with Birla Tyres and Ispat Alloys Ltd as Executive Assistant and Confidential Assistant respectively. 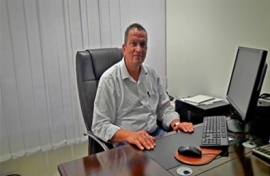 He also worked with Gontermann- Peipers (India) Ltd as Senior Manager for almost 17 years. 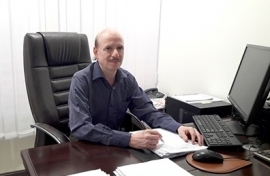 He has more than 25 years of experience from Executive Assistant level to Commercial Manager in India and Qatar. He joined Denver Power Contracting and Services W.l.l, Qatar in the end of 2012 as Commercial Manager. He is supported by qualified Accountant, procurement team, IT team, HR and reports directly to CEO. Tony Thomas has completed Bachelor of Engineering in Information Technology (IT) from Pune University, India in the year 2005. He started his career with some of the IT majors like KPIT Cummins and Wipro Technologies in India. 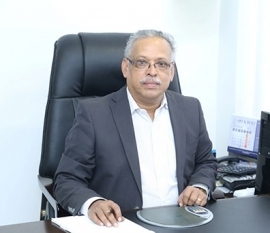 Later moved to Middle-East where he joined one of the renowned company, Louis Dreyfus, Dubai as IT Application Manager and played key role in implementation of Business Intelligence systems in MEA Region. He Joined Denver in the year 2016 as Manager for Facilities & Maintenance. He has established a strong foothold in Fire Safety & Fire Protection industry in the state of Qatar. He takes care of Facility and Maintenance Division of Denver Power Contracting and Services W.l.l. He is supported by qualified Engineers from various discipline and reports directly to CEO. He has completed Bachelor Degree of Engineering (Electrical) from Mar Athanasius College of Engineering, affiliated to Mahatma Gandhi University, Kerala, India. He started his career with Denver Power (India) Pvt. Ltd as MEP Project Engineer. He serves Denver Power, India for almost four years where he has to undertake valuable task like Project Reporting, Site Coordination, Material Planning and Procurement. He is also certified UPDA (Electrical) and QCDD Approved Engineer by the State of Qatar. Since September 2016, he is associated with Denver Power Contracting and Services W.l.l as Project Engineer. He is supported by qualified Engineers from various discipline and reports to Sr. Project Managers of the company. She has completed Bachelor Degree of Engineering (Electrical) from MG University, Kerala, India in the year 2008. She started her career with Denver Power Pvt Ltd, India in mid 2008 as Electrical Engineer and elevated to Senior Electrical Engineer in August 2013. 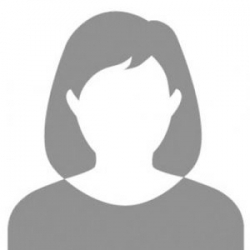 Since December 2013, she is associated with Denver Power Contracting and Services W.l.l as Project Engineer. 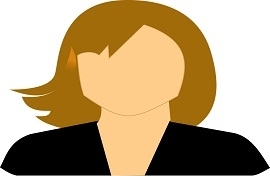 She is supported by qualified Engineers from various discipline and reports to Sr. Project Managers of the company. He started his career with U-Save Car and Truck Rentals, Qatar as acting Operation Manager. He also worked with Endeavor Trading and Contracting W.l.l, Qatar as Operation Manager. 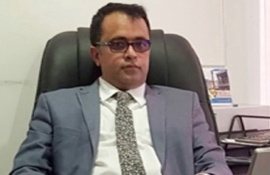 He has more than eight years of experience in various fields like General Administration, Business Development, General Operation, Personal Management, Purchasing and Subcontracting, Coordination and Liaison. He joined Denver Power Contracting and Services W.l.l, Qatar in mid 2013 as Project Coordinator and elevated to Planning & Procurement Manager. He is supported by qualified Engineers from various discipline and reports directly to CEO.